How many times do you see wrongs done on the road either to you or others? 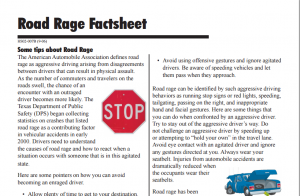 It is easy to retaliate but that is the first step in escalating a confrontation into road rage. You may want to practice these 6 easy steps and prevent any dangerous situation while behind the wheel. Music has a huge effect on our emotions. While listening to pump up music can get you feeling all sorts of strong emotions, soothing music may just be the perfect thing to keep you cool when driving. If you allow yourself some extra time to get to your destination, your drive will be much more comfortable because you aren’t in a rush. Try and keep a schedule to make sure you’ll not only arrive on time, but also have no road rage incidents. You’re probably wondering, how can this help me stay calm when driving? Often times if the people in the car are co-workers or acquaintances, people tend to reduce their road rage because they don’t want others seeing them in such conditions. We can all relate to the fact that when we’re tired, we tend to get grumpy. Make sure you have gotten enough rest each night before driving the next day. It’s more important than you think! A good tip we always recommend is to give the other person the benefit of the doubt. You never really know what’s going on in their life, so before you roll down your window and start screaming, think about how they’re feeling too. Driving while you’re road raged can often times be just as bad as driving buzzed or drowsy. If you begin to get angry or upset, take a pit stop and calm yourself down for a few minutes before getting back on the road. Unless you do not own a vehicle at all, you know by now that Texas stopped issuing vehicle inspection stickers on March 1, 2015. 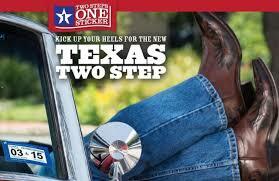 So as of this March 1st we will be entering the 2nd year of the “Two Steps, One Sticker” program that requires an inspection to be done prior to being issued a registration sticker – a simpler process for these two very important annual vehicle requirements. Step 1: Take your car to be inspected and pass the test no earlier than 90 days prior to your expiration date. If you need a list of inspection stations go to the Texas Department of Public Safety website. Step 2: After you pass inspection, keep a copy of the report for your records. You can then renew your registration online, by mail or in person at your county tax office. They will verify your inspection electronically. There are numerous benefits of this program. Because there is just one sticker and one date you don’t have to keep track of multiple expirations. And one sticker on your window actually cuts down on the clutter on the windshield and allows you to see out of it better. It also makes our vehicles cleaner and safer because they all have to pass safety and emissions tests. 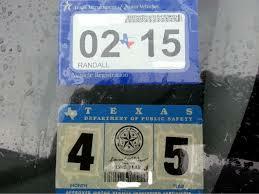 And it cuts down on Inspection Sticker Fraud because these stickers are no longer required. Remember that your registration will expire on the last day of whatever month is on the sticker. If you take note of it early you will have plenty of time to complete the two steps involved. So if your sticker says June, 2016, it expires at the end of June. You can get your inspection as early as April 2. Planning ahead will allow you to have ample time to get registered. For all your defensive driving needs and information on Texas laws that affect you and your car, log into WirelessDefensiveDriving.com. 4 Steps to get your car ready for winter. Posted in Defensive Driving Blog | Comments Off on 4 Steps to get your car ready for winter. Winter is coming! Though some of us don’t have to worry about the freezing temperatures, many drivers across the United States should take these precautions into mind to ensure you and your car can get to and from your destination safely. Here’s just a few tips to help prepare your car for the winter season. Just like extreme heat, sudden freezing can also reduce your car’s battery capacity. 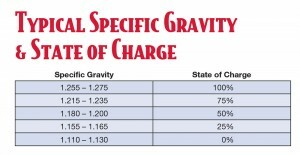 You should first check the level of charge left in your battery. 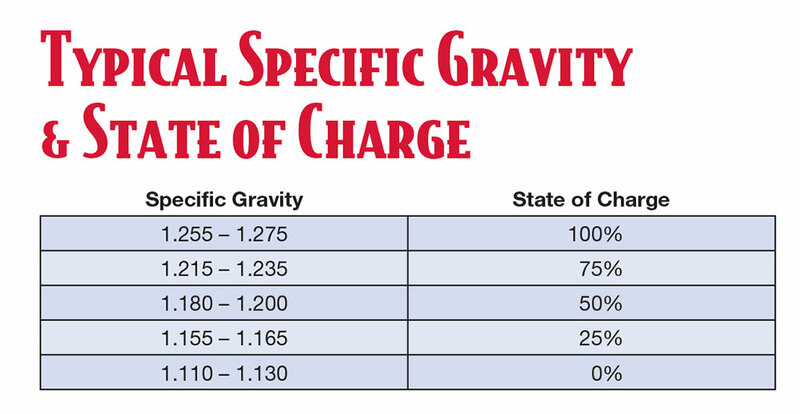 Some batteries come with a built-in hydrometer meter that can tell you the voltage that is remaining, but if not, you can always get a handheld hydrometer to check for the same information. If it is too low, you should replace the battery immediately. Who wants to be stranded in the cold because your battery died? While inspecting the battery, clean off any corrosion caused by battery acid that is piled up around the connectors. The most simple way we’ve found to clean this is to dip a toothbrush in a baking soda and water mix, and scrub away. Don’t forget to dry the connectors off before re-connecting your cables. The purpose of antifreeze is to protect your car’s cooling system from overheating, freezing and corroding. Keeping old antifreeze running in your car gives you a higher chance of one or multiple of those things happening to the engine. And, let’s say your engine dies and you need to replace it, well that could end up costing more than the car is worth. Take your car to the mechanic, and if the antifreeze needs to be replaced, have them flush out all of the old and start new. Wireless Defensive Driving recommends this tip on a regular basis in order to lengthen the life of your engine. In the cold, engine oil thickens, putting much more stress on the engine to run smoothly. Whether you change the oil yourself or take it to the mechanic to do, do it often. If you live in an area that often gets a lot of snow, you may want to consider getting a set of snow tires, or even snow chains, for your car. Although more expensive, these work better than a set of all-season tires, and could save you from getting stuck out in the cold.